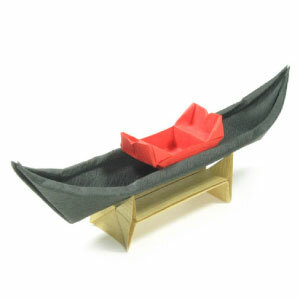 This page is for those who want the instruction to fold an origami Gondola boat. Before working on this model, you need to know what valley-fold and mountain-fold are. If you know these two folding techniques, then you will have no problem in making origami Gondola boat. 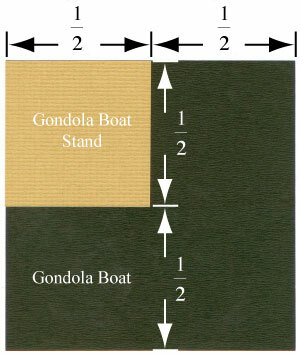 A large paper for making a Gondola boat. Two small paper for making a Gondola chair and a boat stand. 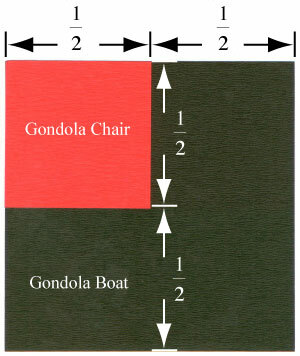 The paper size for Gondola chair should be one-quarter of the one for Gondola boat. 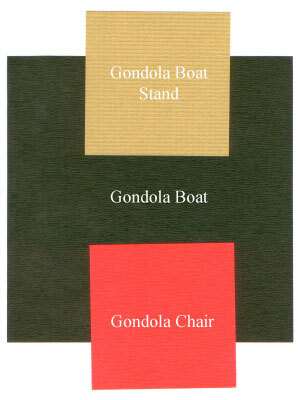 The paper size for boat stand should be the same as the one for Gondola chair.